According to a 2009 study conducted by the Mayo Clinic and Olmsted Medical Center, prescription drugs account for $250 billion, or 12%, of total personal healthcare expenditures in the US. The study also revealed that 70% of Americans take at least one prescription medication, while 20% consume more than four. The most commonly prescribed medications are antibiotics, antidepressants, and painkilling opioids, which can be highly addictive. While the study was conducted for both sexes across all age groups, the research revealed that prescriptions tend to increase with age, particularly among women. Thus, multi-target medications not only offer a broader range of efficacy but also fewer negative side effects. According to one article, this is because most multi-target drugs are natural compounds, which owe their efficacy to the complexity and diversity of their structures. Depending on the individual, prescription medications have been known to cause birth defects, blood clots, cancer, hallucinations, memory loss, mental health issues, priapism, and even death. Fortunately, the shifting healthcare landscape has provided an alternative to multiple single-target medications and addictive opioids in the form of novel multi-target medications, like medical cannabis. Controversy has been buzzing around this topic ever since California Proposition 215 (a.k.a., the Compassionate Care Act of 1996) paved the way for the legalization of recreational cannabis in 2016. Google alone yields about 121 million search results for the phrase “medical cannabis.” A new era of scientific study has replaced Nixon’s War on Drugs, which began in the 1970s and continued long after his post-Watergate resignation in 1974. New legislation and research have multiplied cannabis’s growing list of medical benefits. As examples of cannabis’s efficacy continue to be unveiled, it has the potential to become the biggest discovery since penicillin. Unfortunately, not all medical cannabis is created equal. As with any free enterprise, there’s room for abuse, as well as innovation, if a company’s product isn’t as pure as its intentions. 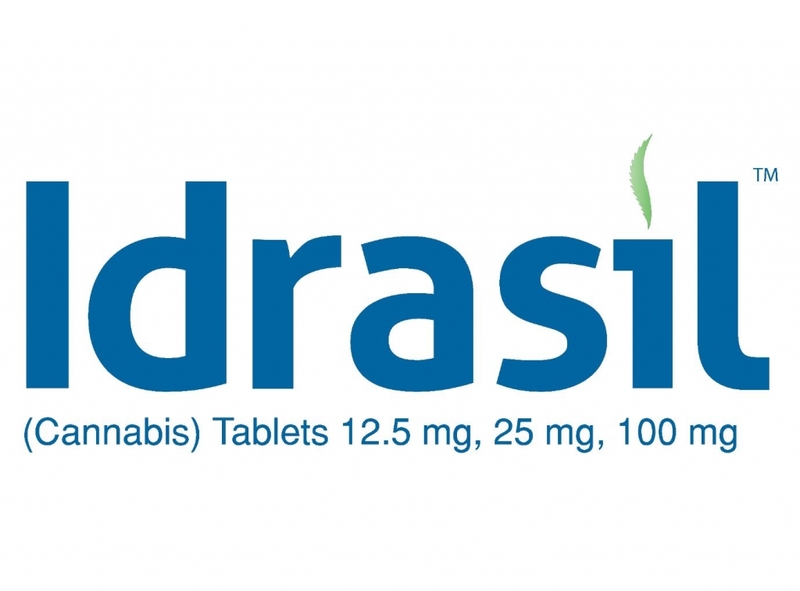 The need for product purity and doctor supervision led C3® International to create Idrasil™, the first prescription-only cannabis tablet. C3 was founded by Steele Clarke Smith III and Theresa Ann Smith, who serve as the company’s Chairman/CEO and President, respectively. Made from concentrated cannabis extract, Idrasil comes in divisible 12.5 mg, 25 mg, and 100 mg quantities. Idrasil’s main ingredient is extracted from whole, active cannabis, a substance that resembles Cannabinoid #1 (CB1) and Cannabinoid #2 (CB2) – Class A, G protein-coupled receptors (GPCRs) found in the endocannabinoid system. According to an article on the National Center for Biotechnology Information (NCBI), CB1 is particularly active in certain parts of the brain (basal ganglia, cerebellum, hippocampus, etc. ), as well as in peripheral regions (adipocytes, colonic tissues, retinas, sperm cells, testes, etc.) and specific organs (adrenal glands, heart, lungs, prostate, ovaries, uterus, etc.). CB2 is present throughout the immune system, as well as having a smaller impact on the central nervous system; as such, it can treat pathologies, as well as physiological conditions like allergies and inflammation. As an all-natural, multi-target pharmaceutical associated with the endocannabinoid system, Idrasil efficaciously treats a variety of health issues caused by clinical endocannabinoid deficiency (CECD), without the harmful side effects associated with other prescription drugs. Some of the issues that Idrasil treats are ADD/ADHD, Alzheimer’s, anorexia, anxiety, arthritis, autism, bipolar disorder, cancer, chronic and non-chronic pain, depression, diabetes, epilepsy, fibromyalgia, hepatitis C, HIV/AIDS, insomnia, migraines, Parkinson’s, PMS, PTSD, and schizophrenia. On a doctor’s recommendation, Idrasil can safely replace a wide range of single-target medications. Unlike penicillin, the formulation of Idrasil was no accident. “C3’s goal was to create a natural pharmaceutical that maximized application and minimized risks,” Steele says. “Now that cannabis is an open marketplace, the medical community finally has a way to target multiple health issues without creating new ones. We’re excited to see how a once-banned substance will safely eliminate suffering and improve quality of life.” As the stigma associated with cannabis fades from the medical sector, it will cease to be a novelty drug and become an integral part of mainstream medicine.